Enhancing Equality Offaly (EEO) is a group that comprises of agencies and people with disabilities who have come together to form a development group namely Offaly Local Development Company, Laois Offaly Education Training Board, Public Participation Network, Inclusion Ireland, Muiriosa Foundation, Clara Family and Community Resource Centre and Leaders from The Centre of Independent Living and Rehabcare. Our remit is to focus on the abilities of people with disabilities, highlight the gaps and opportunities within our organisations and our communities to be more responsive, accessible and inclusive for people with genetic and acquired disabilities. One of the projects that we consider very worthwhile is the Make Way Day co-founded by The Disability Federation of Ireland and we have signed up to support this initiative on the 26th of September 2018 from 10.30-1pm in Tullamore Library. Make Way Day originated last year following public meetings with Dublin City's then Lord Mayor and people with disabilities. They identified obstacles on paths as a priority issue for people with disabilities examples; parked cars, bicycles, plant pots and sandwich boards etc. People went out and 'stickered' the barriers in their local area i.e. stuck stickers on the obstacles they came in contact with on the day. This year more counties have decided to get involved for a coordinated effort at a national Make Way Day. A member of EEO will talk about us as a group- Why we were established and our goals for the development group? 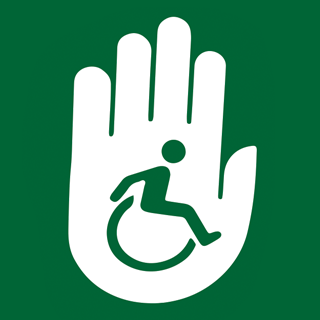 Living with a disability and the importance of accessibility? Make Way Day- What the event is all about? Workshops on accessibility issues that will be fed back to the relevant agencies when the event is finished- Those with mobility issues can take part in the event by communicating their accessibility issues at the workshop which will take place at the same time as the walkabout. The walk will be in the commercial areas of the town only. A map will be given to each team on the day and this is the area that your team will “sticker”.